Toronto, October 20th 2013: ITC Systems would like to congratulate and thank Maria Cuevas for successfully completing 10 years of service. 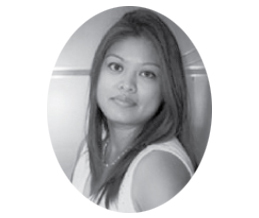 Maria is the Business Manager at ITC Systems, an invaluable member of the ITC Systems family. She began her career with us as the receptionist in 2003 and over the years with hard work and dedication has moved up to her current position. Her role in the company here included shipping clerk, purchasing agent, sale assistant, production supervisor, office manager and now business manager. “Maria has helped the company grow through her quiet determination and loyalty to ITC and her fellow employees”, says Cam Richardson, CEO of ITC Systems. “She has really helped me out over the years and has taken each new position offered and made a success out of it”, describes Mr. Richardson. Maria manages the administrative team and always puts the customers interest first. She coordinates all office operations, assists with human resources projects, social events, administers the Enterprise Resource System (SAP), develops administrative procedures and provides administrative support and assist the company’s senior management. Maria has received ITC Systems’ colleague of the year twice and the Most Valuable Player award once over the years, thanks to her dedication and support of the company and all her colleagues. On behalf of all the employees, suppliers and customers, ITC Systems would like to thank Maria for all her contributions and her continued dedication. “ I look forward to celebrating Maria’s 20th year”, says Mr. Richardson.